Nigerians like fashion. The more expensive, the better. They love to hold their money in their hands.......literally. defined by alot of things and one of them is her handbag. This is because most people look out for this whenever they meet you. In some quarters, the more expensive, the higher your big girl status. The latest obsession among celebrities though is the "Dior Book tote bag van kalfsleer met relief" bag. It has been spotted on the arms of Beth Models boss, Elohor Aisien, repeat Fashion Tigress, Toke Makinwa among others. 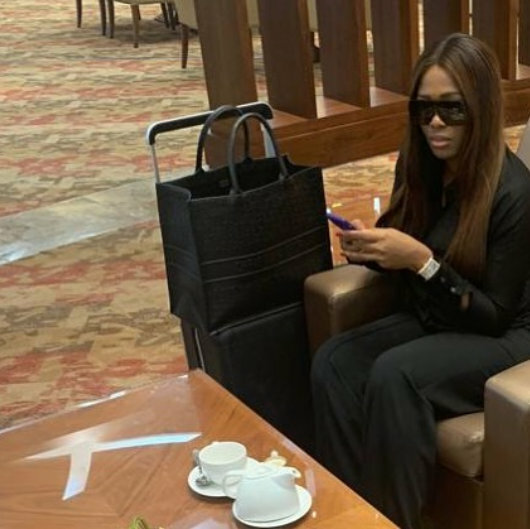 Even South African diva, Bonang Matheba has been bitten by the bug. 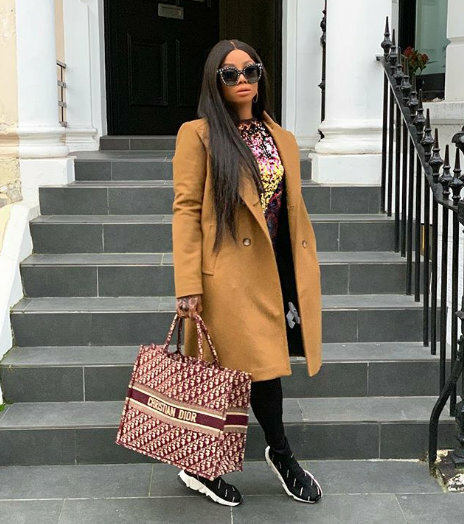 The bag does not come cheap.It costs about 2100 euros (which is about N876,498) and is part of their Pre-Fall 2019 Bag Collection.